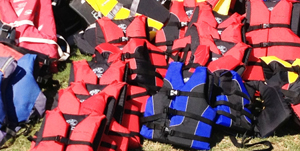 Enjoy a paddling adventure of any length right in the heart of Grapevine on Grapevine Lake! From TX 114 in Grapevine, exit Kimball Ave. and head north at the light onto N Kimball Ave. Park entrance will be on the left. From TX 114 in Grapevine, exit Kimball Ave. and head north at the light onto N Kimball Ave. Turn left on Lakeview Dr. Continue onto Lakeridge Dr. and then bear right onto Lakeview Dr. into the park. In Grapevine, follow TX 183 W/TX 114 toward the DFW Airport and exit Texan Trail (will turn into Ruth Wall Rd.). Turn left on Dove Loop Rd. and then take a right on Oak Grove Loop S into Oak Grove Park. Turn left on Darren G Medlin Tr. and the boat ramp will be at the end of Darren G Medlin Tr. on the right. This reservoir has a surface area of over 6,500 acres with a maximum depth of 65 feet and includes many drop-offs and underwater structure changes that hold largemouth bass. The lake generally lacks vegetation, however some emergent plants can be found in the upper end, and numerous areas of the lake have shoreline with large boulders. 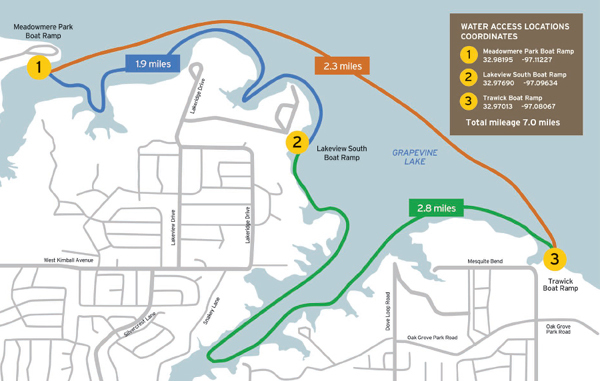 Grapevine Lake offers excellent fishing for Florida largemouth bass, which are the most popular sport fish in the lake. White bass, white crappie, and channel catfish are also popular with anglers. The lake generally lacks vegetation, however some emergent plants can be found in the upper end. Numerous areas of the lake have shoreline with large boulders. This reservoir has a surface area of over 6,500 acres with a maximum depth of 65 feet and includes many drop-offs and underwater structure changes that hold largemouth bass. Rocky shorelines and boathouses are also good spots for largemouth bass. The water intake near the dam has an air injection area that attracts white bass. Highly successful fishing spots around the trail are McPherson Slough and Lakeview Park. The diversity of the habitat surrounding the lake supports a variety of plant and animal life which thrive in the oaks and cedar elms near the shoreline. Birds spotted at Grapevine Lake include the great blue heron, great egret, migratory waterfowl, and a host of songbirds. 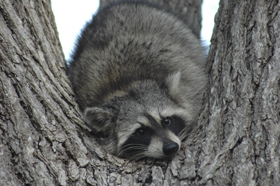 Common wildlife encountered include fox squirrels, raccoons, and white-tail deer. Don’t miss Historic Downtown Grapevine, Texas! Enjoy a glass of wine at one of the winery tasting rooms. Sample delicious dishes from locally-owned restaurants. Shop for some bling at one of the jewelry stores or boutiques. Enjoy a performance by the Grapevine Opry at the renovated 1940s era Palace Theatre. See beautiful works of art at the fine art working studios or galleries located along Main Street. Hop aboard the Grapevine Vintage Railroad. Learn that crime doesn’t pay at the Grapevine Glockenspiel Clock Tower, featuring the Would-Be Train Robbers Nat Barrett and Willy Majors. With so many fun things to do, you’ll find something fun for everyone in Historic Downtown Grapevine. For more information, visit www.GrapevineTexasUSA.com or call 800-457-6338. We know you will enjoy any number of our fine amenities, including many spacious pull-thrus and the cozy fully-furnished cabins. Once you get checked-in, take the kids to the playground or grab your swimsuit and head down to our private sandy beach to enjoy Grapevine Lake. If you forgot something, we offer a wide selection of camping supplies, firewood, Vineyards clothing line, and personal gifts in our Camp Store. Adjacent to the Camp Store at Grapevine Station, we provide onsite washers and dryers to take care of all your laundry needs. In addition, Grapevine Station will be the Center Stage for many of our complimentary weekend special events held for our guests. Take time to explore the campground and enjoy many of the amenities we offer as well. 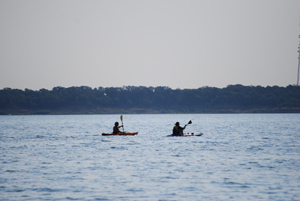 There is great fishing on Grapevine Lake, or hiking on our Nature Trail, or paddling around the lake in our kayaks. The Grapevine Botanical Gardens at Heritage Park is a beautiful park with trails, streams, ponds, sitting areas and hundreds of varieties of plants for viewing. This garden is a hidden gem in Grapevine. Nash Farm, circa 1859, is the oldest operating farmstead in Tarrant County. Through interpretive programs, events and exhibits, Nash Farm educates the community about the heritage and importance of the Grapevine Prairie and Grapevine’s pivotal role in the development of North Texas. Hop aboard the Grapevine Vintage Railroad! Guests will love the exciting ride along the rails in the 1920s-era Victorian coaches as they journey to the Fort Worth Stockyards most weekends throughout the year. From Memorial Day weekend through Labor Day weekend, Saturday and Sunday passengers will enjoy the Great Train Robberies as they help the deputies capture the outlaws. Or, enjoy one of the many special events such as the Jazz Wine Trains, Day Out With Thomas™, North Pole Express® and more. This trail was made possible through a partnership between Texas Parks and Wildlife Department, City of Grapevine, and U.S. Army Corps of Engineers.